As we found out when we ranked all the states by their beer, some subdivisions of this great nation know how to party just a little bit better than others. But when it comes to the hours at which parties are legally allowed to occur (at least in bars), there's a wider breadth -- so we turned to The Field Guide to Drinking in America by Niki Ganong (which drops this April) to find out what last call is in every state, because finding out this kinda stuff can often be pretty confusing unless you're actually sitting in a bar waiting for them to throw you out. Who knew Alaska was so cool? Illinois: Last call isn't set by the state, but varies between 2am and 3am in Chicago depending on the bar. 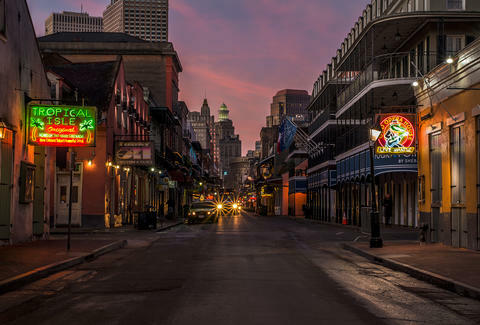 Louisiana: Bars can technically serve 24 hours a day if there's no law stating they can't. Nevada: 24 hours a day! New Jersey: The state allows towns to regulate closing time on a local level. Texas: As late as 2am with a permit in large cities. Midnight elsewhere. Adam Lapetina is a Food/Drink staff writer for Thrillist, and is fortunate enough to be able to order drinks until 4am. Read his musings at @adamlapetina.